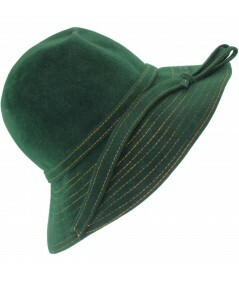 Soft velour felt hat with side pinch on the crown. 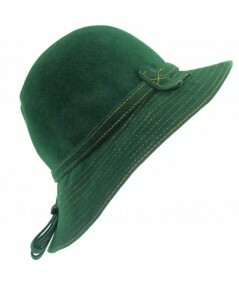 The brim with decorative stitch and draped flowerand stem across the center front. The felt flower appears as if it is a tassel at the side. This is a Jennifer Ouellette favorite for Fall and Winter!